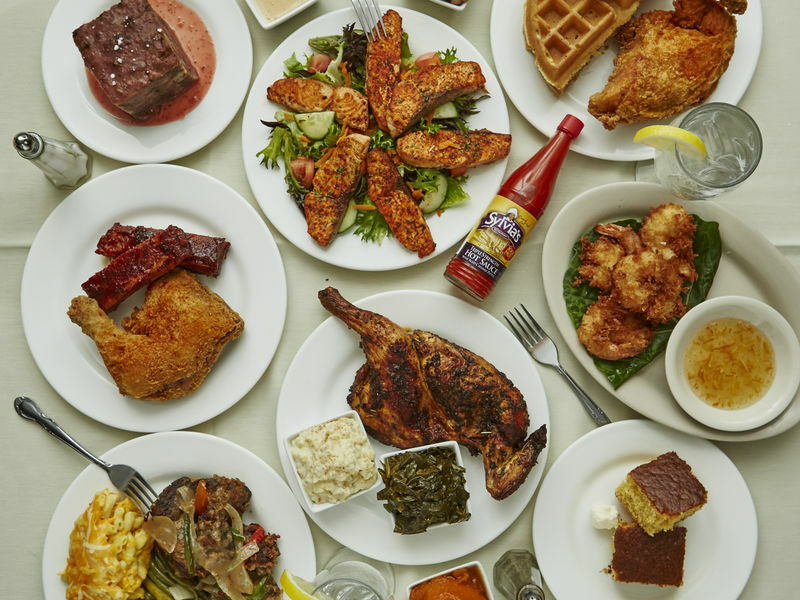 Ain’t no food like soul food, and there’s no other place to eat waffles and chicken than at the world famous, Sylvia’s Soul Food in Harlem. 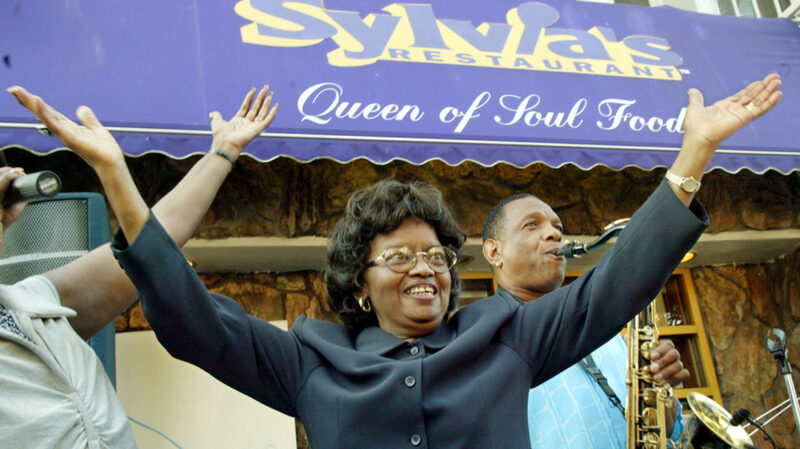 Sylvia’s, the world’s most famous soul food restaurant, was founded in 1962 by Sylvia Woods and has been run by the family ever since. 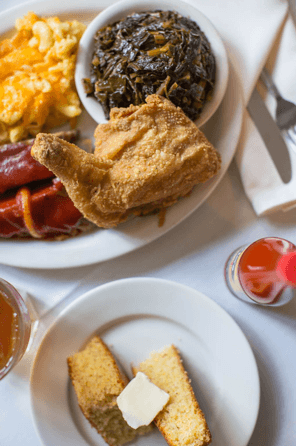 Woods purchased the original luncheonette by borrowing money from her mother, who had to mortgage her farm to provide it (and since then has been turning out the best corn bread and mac and cheese for decades). The restaurant attracts a clientele that ranges from Harlem locals to visiting celebrities like Bill Clinton, Nelson Mandela, Caroline Kennedy, Barack Obama and Bernie Sanders. Sylvia (now a world famous business and brand mogul), was born and raised on her mother’s South Carolina farm and had dreams at a very young age of marrying her childhood sweetheart Herbert and of one day trading in the cotton fields for the bright lights of New York City. In 1944, Sylvia married Herbert and started her journey towards a brighter future. Harlem called, and Sylvia answered, as she became a waitress at Johnson’s luncheonette. In 1962, after several years of dedicated service to her employer, Mr. Johnson recognized Sylvia’s entrepreneurial spirit and sold her the luncheonette. 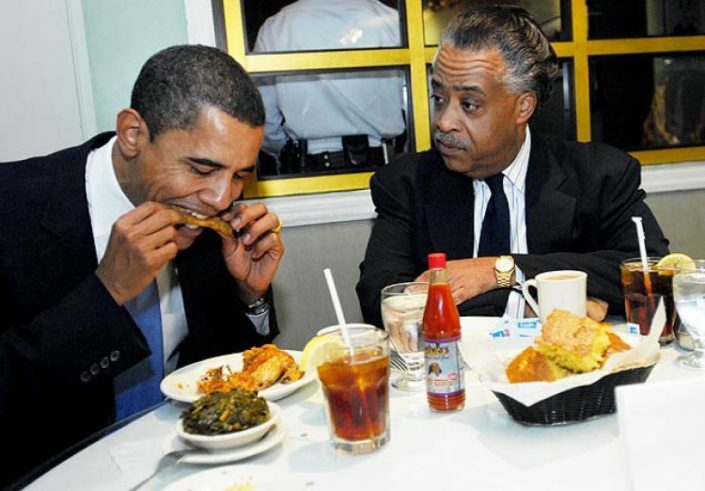 The then small luncheonette which consisted of 15 stools and six booths, has now flourished into a family-owned enterprise which consists of: Sylvia’s Restaurant in Harlem, Sylvia’s Also, a full-service catering hall, Sylvia’s Catering and Special Events Division, a nationwide line of Sylvia’s Food Products and two deliciously amazing cookbooks. 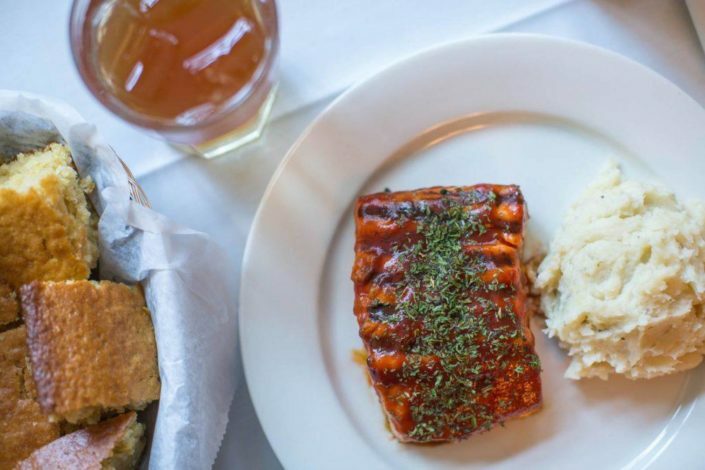 From the moment you walk in, you feel as if you are transported to Sylvia’s home as waitrons offer you homemade lemonade, chicken waffles, short ribs and mac cheese and a delicious peach cobbler to top off the meal. 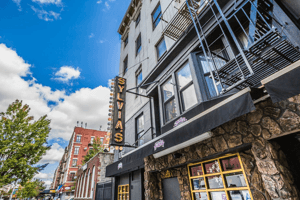 The only thing we can say about Sylvia’s is that its good for the soul! Editor’s tip: Book a table because the wait for this world class institution is often long, with tourists lining the block in throngs.